I am not an Exchange guy, so I am writing this down in case it works, so that I can do it again one day. If it doesn’t work, I wont publish it! I am using this to do CU 11 but I suspect the same process will work with the next CU. I am also writing this as I suspect I cannot be the only one that is surprised that a CU sounds sort of like an install rather than a patch or update. The account you use to install the CU needs to be in the admin role of Organization Management. You can see the role below in the screenshot and my name in the Members area. I usually mount ISO’s from the VMware Content Library on the VM that needs it. You can also do this update from mounting the ISO locally. Make sure all of the MS type updates are done. Next make darn sure you have a very good backup. Connect the ISO to your VM, or mount it on your desktop. You will be prompted to check for updates. I do it. I hear back there is enough disk space, and there is no updates so we continue. Next is files being copied. Doesn’t take too long. Next you see an Upgrade prompt. 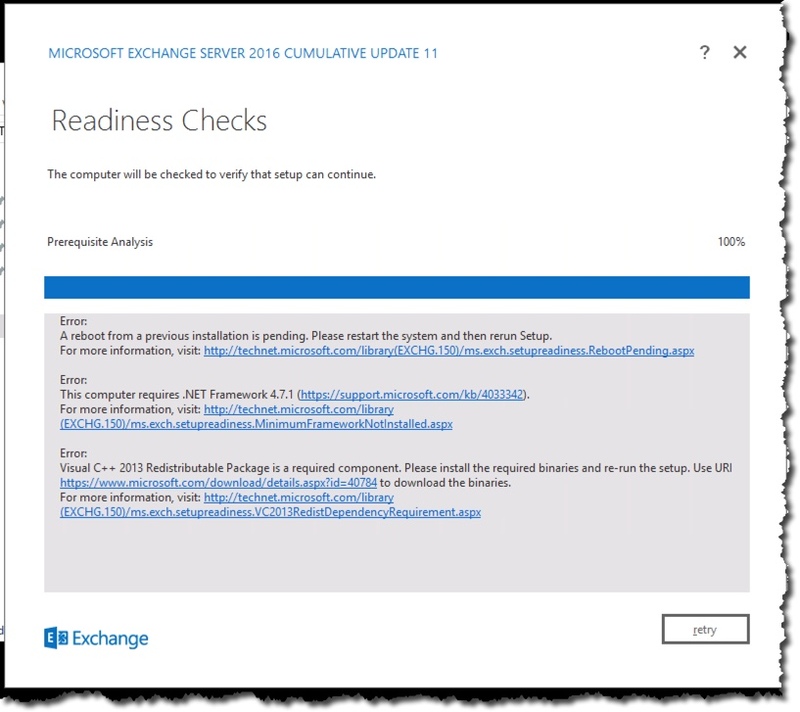 Next is the Readiness Checks. But I don’t do so well. I did a MS update before this, and I did restart so not sure what the first error is. I use the links in the error message to download what I need. So that helps to make things a little easier. So I download both files, and install them. I have to restart so that means start the update over again. Once that is done hopefully we get past the readiness checks with no issues! It doesn’t take long to download and install the two packages mentioned in the error message and restart. It doesn’t take long to get to the point where I have an install button. No issues with Readiness Checks this time. Now, so we can update, we hit the install button. It looks like it may take a bit. It seem to pause for a bit on languages. 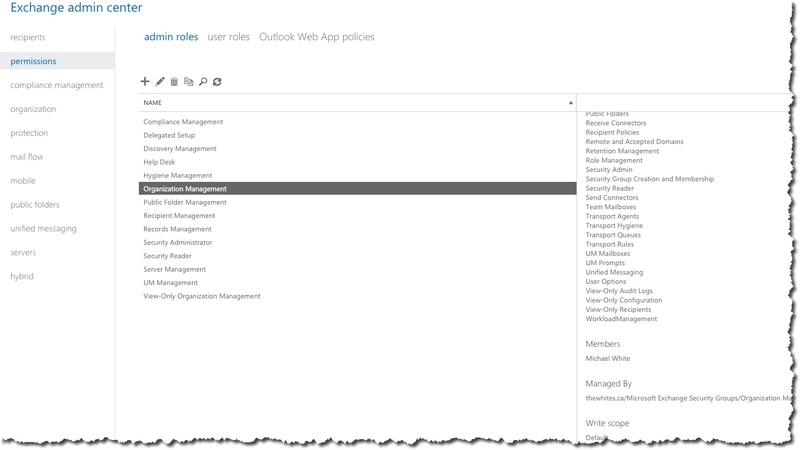 But not for long and it continues with management tools. When the process finished I did have an error. I share it below in case it is handy or interesting. I note I was only able to complete step 11 of 18. So I suspect things went poor. The error was about ETL traces before … I am going to restart and see what happens. Here is a snippet of the first bit of the error. There is a lot you cannot see. So I restarted after this error, and it took a while to come up. When I came back up, the update (when I started it again) said an incomplete install occurred and it would try and fix it. Which seems to mean it just goes through the same process. It did right up until it quit. I then was able to log into and send emails no problem. Weird. To test that the upgrade worked, we can send and receive email – or rather we should be able to. I suggest doing that, but also access the management UI and make sure you can log in there too. You should be able to see be able to see in the Servers view the new CU 11 version info. You can see 15.1 (Build 1591.10) info that means CU 11 is running. 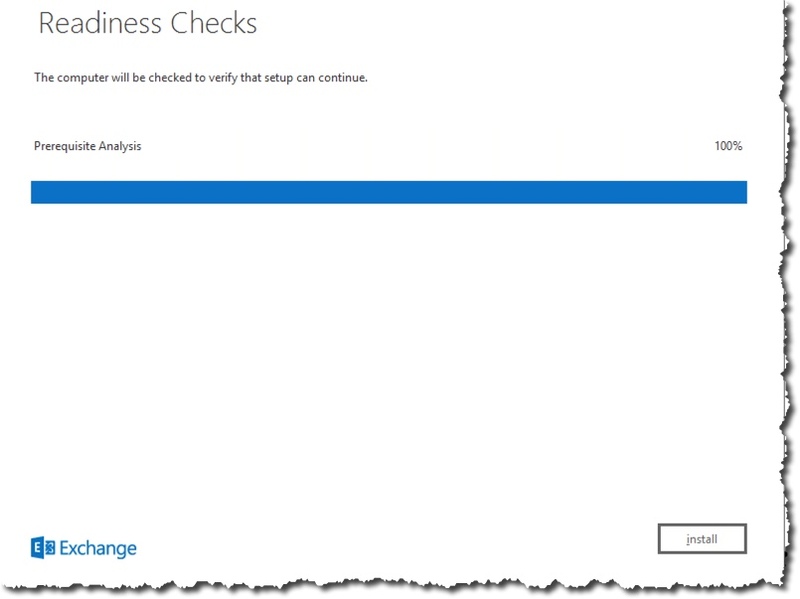 I also looked in my monitoring tool – Exchange Monitor from Solarwinds (the free version) and it showed all green. My external monitoring tool – Pingdom showed up too. 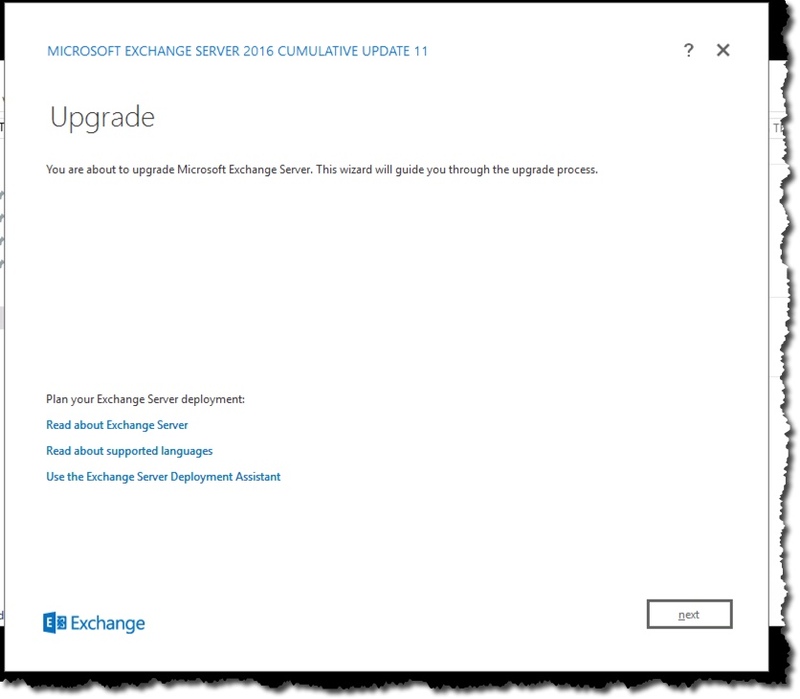 So this will help you get through the fairly simple update of an Exchange server. It took, including the backup, approximately 90 minutes, and partway through the update the server goes down, so there is an outage of course and mine lasted about 40 minutes. I suspect if I had an all flash array it would have been less. I did filter out the time due to my issue. Which I could not find anything on via Google, and when I asked a couple of Exchange people they had never seen it before either. But everything seems to be working fine after the second run through of the CU so that is good.